UPDATE: Our "Rich of Medford" (Rich Peterson) sent me this link to another very frightening project that is part of the World Government Summit and Dubai Future Foundation (obviously a component of the World Future Foundation that Barbara Marx Hubbard has been an integral part of since its beginning). I am embedding the link here as it is a must watch. There are some very evil and controlling minds behind this one! Advantages to "the mark" -- neither HERE NOR IN THE HEREAFTER!" Read the much maligned Book of Revelation to learn all about it! I sometimes get so tired of watching the relentless "I hate Trump" programming on so many USA news outlets, I decided to give myself a break, relax, and watch BBC during normal news hours. To be honest, I fell asleep in the chair and awoke at the stroke of midnight as BBC World News was about to commence. What I awoke to was an ad in black and white format. It featured two attractive young adults: one male, the second female. The male started with words to effect of "I received my microchip implant two years ago . . . ." He went on to say how that made him a very considerate traveler on the mass transit system he appeared to be using as it shortened the wait times for the next passengers. 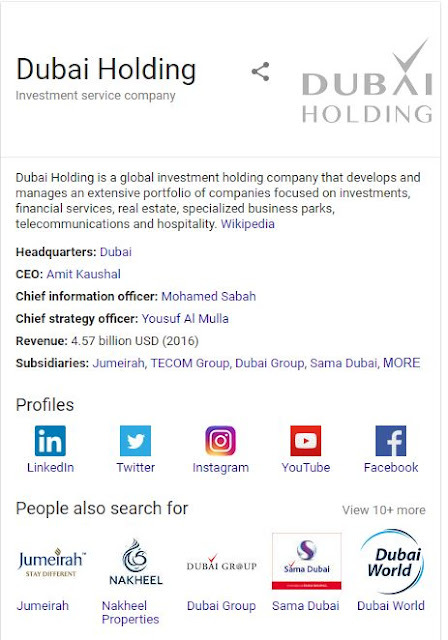 Then immediately followed the young woman who said "I got my microchip implant 6 months ago . . . ."
The advertisement then carried the large logo of "Dubai Holding Company." This, in my humble opinion, is a very ominous development indeed. The prophesied times that it was foretold would come upon the earth as a snare are advancing rapidly and perhaps almost irresistably. 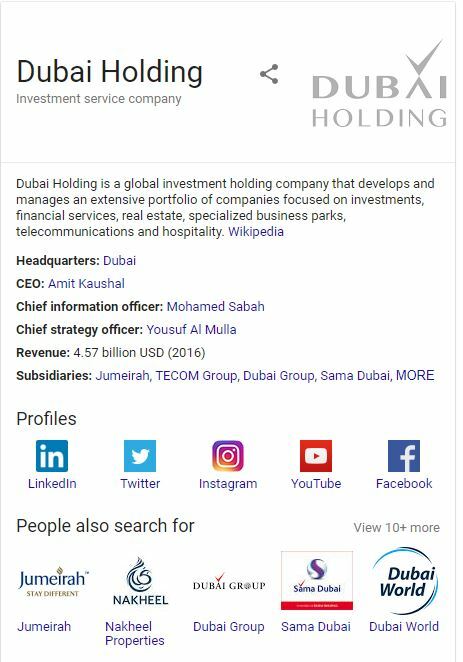 I googled the subject using the words "Dubai", "Holding Company" and "Microchip." 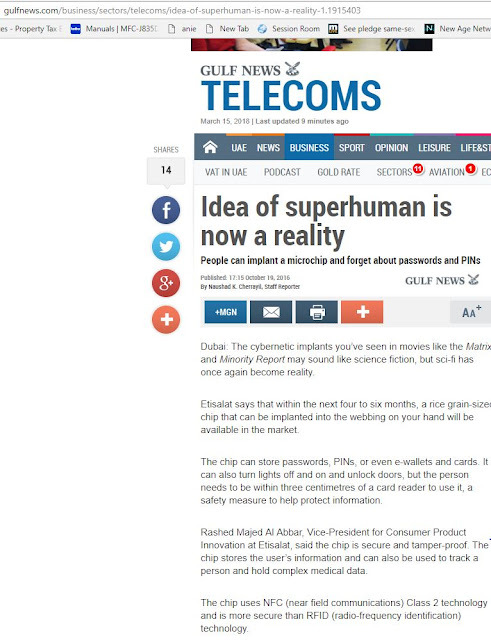 Article re subject from the Gulf News -- a regional paper in that Dubai area. A "nice kindly face" about to do an implant on a worker. Epicenter efficiency?? Folks, it's close and getting closer. RESIST!